What if your employer kept sticky notes to pay you every week? It could work for awhile. But then one week, it falls off the laptop monitor and you didn’t get paid. But then another person comes in and says “Eh, I need this conference room” and throws all of the sticky notes away. And you don’t get paid. Again. You wouldn’t want to work there very long…so why do we treat projects (the things that help us get our paychecks) the same way? Project management plays a huge role in successful business growth and development. This makes it essential for project managers to have access to sufficiently robust planning technology. Since we are all guilty of cutting corners one way or another, project managers and team members alike often rely on sticky notes or post-it notes. These paper alternatives to professional project management platforms are a horrible solution. According to studies collected by Capterra, 37% of project failures are a direct cause of a lack of clear direction and goals. Using sticky notes to jot down important notes and information about a serious company project can only lead to downtime and confusion down the line. 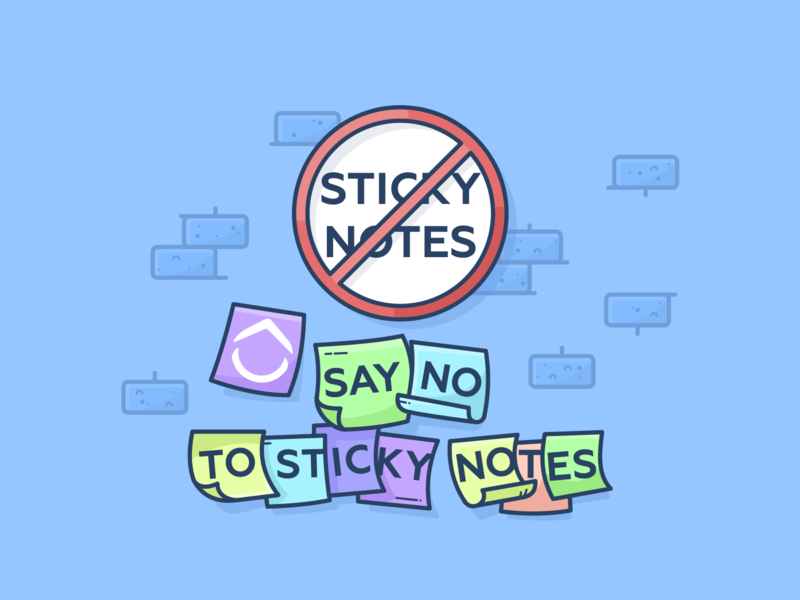 Let’s look at several causes as to why sticky notes are not a good substitute for efficient, digital project management solutions. Sure, sticky notes are all about cohesion. But not team cohesion. A project manager’s sole goal should be to keep the team centered on the project plan and milestones needed to finish the project. Sticky notes are fairly easy to lose track of thanks to their small size. Working in a team environment and relying on sticky notes can be an exhausting task. Worst of all, it’s almost impossible for everyone on the team to be up to date with the latest information. As a result, the team fractures into smaller splinters and members work individually regardless of what the sticky notes on the wall might say. Once that happens, it will be nearly impossible for the project manager to reestablish their authority and get the project back on its tracks. Studies collected by PM Logic show that 34% of projects operate without a set baseline. If we include sticky notes into that equation, it’s easy to see why project managers have a tough time keeping everyone in check. There is nothing worse than having to backtrack and revise your project just because a member didn’t notice a new sticky note on the board. Team cohesion is a precious resource in project management, regardless of the scope of your goal. You don’t want to find yourself in the managerial position once the entire team becomes confused as to which information is up-to-date and what to rely on. Worse yet, the notes in question can easily fall off, get lost or taken away for a moment, only to be returned in a damaged or altered form – which brings us to our next topic of discussion. Anyone who has been a college student will tell you that editing papers and notebooks can be stressful. Now imagine those edits being done on small pieces of colored paper and used for actual, professional projects. This is why digital devices and management applications are a necessity, not just an option. It can be very difficult to keep track of edits and comments being done on sticky notes, especially in a team environment. The Project Group has recently published their findings about cloud-based service acceptance in the corporate environment. According to their findings, 75% of project managers are ready to fully implement cloud services for project management into their everyday activities. Writing, deleting and scribbling notes again on already-used sticky notes can lead to very a quick downfall of a project. Old information can still be taken as “relevant” by some and “obsolete” by others in the same room. Worse yet, the reputation of your brand will be at stake should something so arbitrary cause you to lose track of precious information. In order to amend for that shortcoming, teams are advised to switch to digital project management. Can you imagine if a large enterprise company used only sticky notes for parts of their project management? It sounds ridiculous, but many firms use sticky notes for key projects (maybe not all of them…) as a kanban board substitute. Imagine a situation where a well-known client comes back to you after a few years and wants to create a continuation of the project you worked on previously. This wouldn’t be possible without an adequate archive of past projects, something which is impossible to do with post-it notes. With sticky notes, you have to re-enter all of the information into a project management or knowledge management system to keep track. You might as well do this the first time and keep it one central place. According to data gathered by Mavenlink, 17% of large projects often go badly enough to risk the existence of their company. This means that almost every 1 in 5 projects can lead to catastrophic consequences for your brand, whether from a monetary or reputation standpoint. This information should make any project manager think twice about implementing sticky notes into their project. The only way to actually archive sticky notes is to have someone on your team type all of the information into the computer after the project is done. But where are you entering the information? Into spreadsheets? You still need project management software to do something with that info. If you’re just typing it into a Google doc, then the information will be entered without context, leading to further confusion and unusable data. However, these facts are not to say that sticky notes don’t have a place in our corporate society. They are a great little way to remind you of small activities if used sparingly. ClickUp is all about eliminating the friction between creating, storing and starting new tasks or reminder. With ClickUp, you can jot down reminders on the Notepad, or capture tasks with a Chrome extension…essentially taking place of the convenience of sticky notes. We’re rolling out more functionality that will give you even more options for keeping important reminders. Remember, don’t leave your projects to chance with sticky notes. It’s too important! 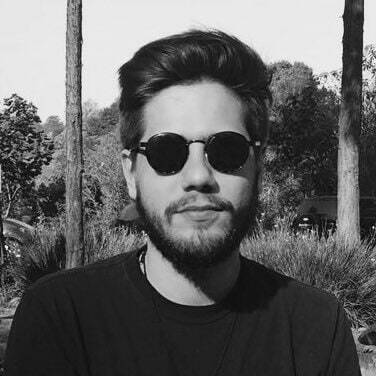 Christopher Mercer is a freelance content writer and marketing enthusiast. Feel free to reach out to Chris via LinkedIn.